Cachirulo in Obelisco Tango Saturday night was almost bursting at the seams. Grand tango social dancers were in attendance and appeared to be chomping at the bit to get themselves on the dance floor as Carlos Rey played his delightful music selections. But, wait…the locals were looking somewhat frustrated by the lack of navigation, circulation and floor craft. Some were clearly not using mirada/cabeceo. A few regulars were probably thinking twice about getting out there on the slick dance floor with some very enthusiastic participants that didn’t seem to know the ABC’s of Buenos Aires tango social dance floor craft. In 2005, while dancing tango in Salon Canning, one of the old milongueros told me it was the ‘honour’ of the milonguero to ‘never’ touch anyone on the dance floor. Once he made me aware of this it was wonderful to have that realized beautifully on the dance floor. We were on this brilliant square wood floor in and amongst every kind of tango dancer and….low and behold…had never touched anyone and were able to circulate with the group in the ronda. To move as a group and feel phrases of the music and breathe together as a community……incredible! On Saturday evening even with the fear of people bumping into each other and the floor being somewhat slippery, it was great fun. The celebrations culminated for me with an invitation to dance for my birthday by Hector and Norma of Los Cachirulos Tango. Magnificent Claudio Strang agreed to dance with me. Thank you to everyone who sat through the demonstration and honoured us with their presence. 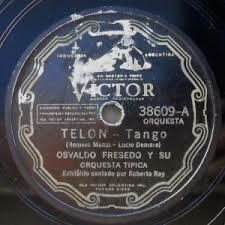 We danced Telón by Osvaldo Fresedo 1938.
y que le dio final tu desamor. que un día enloqueció tu folletín. que al despertar se vio bufón. se fue con el vaivén del vendaval. This entry was posted in birthday tango, Cachirulo, Carlos Rey, claudio strang, close embrace, isabella, Isabella Szymonowicz, Los Cachirulos, Obelisco tango, practica el beso, tango.